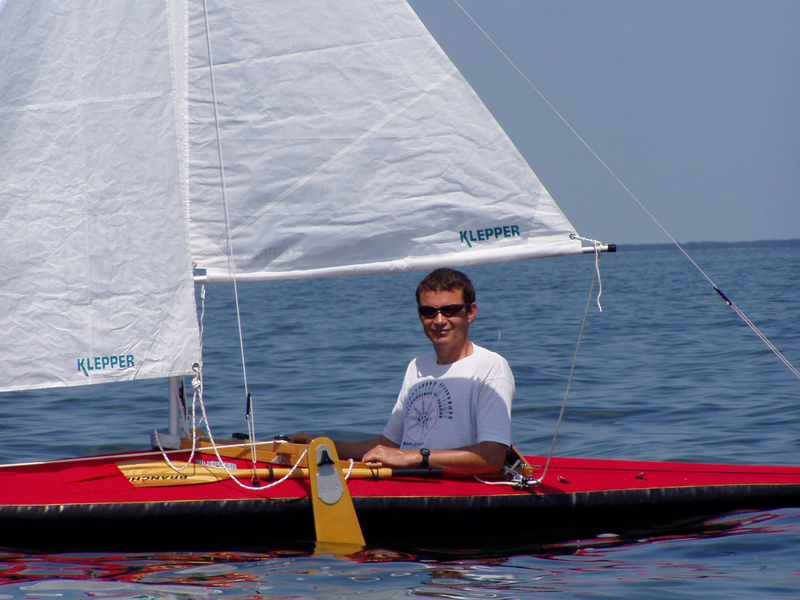 This is me in my Klepper foldable kayak. Starting with the little two-person inflatable raft I had as my very first boat, I have always loved the freedom and the feeling of being out on the water. With my father's help, I added a hard plywood floor to that little inflatable, and that was the beginning of a long chain of boats I have owned, loved, maintained, modified, fixed, enjoyed, and scared myself to death on over the past few decades. 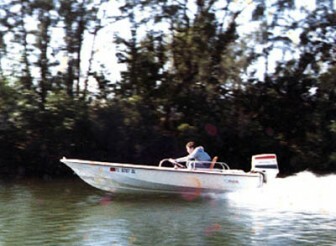 This is me at 15 in my first Boston Whaler. Boy, did we have some good times with that boat. A lot of boating time is spent fixing boats, maintaining boats, and upgrading boats with new boating equipment to suit our specific tastes and needs. Lots of salespeople at stores that sell marine boating supplies and boating accessories have learned to recognize me over the years. I have spent my share of time and money working on just about anything you could name on a boat, and made plenty of mistakes. I'm here to share the lessons learned. Enough of the work and drudgery of boating! Tropical boating is all about the FUN of boating year 'round in nice weather! I like fishing, diving, powerboating, sailing, water skiing, kayaking, jet skiing, and pretty much any other activity on or around the water. I'm here to share some fun stories and pictures about the best of times over the years, and tell about lessons learned — some of them the hard way. No boating site can be complete without harrowing stories of terror and trauma on the water, and advice about docking boats and buying and towing dinghies. I'm also here to share the stories of the worst of times over the years, times when I was in fear for my life, times when I was in danger, but too stupid to properly fear for my life, and times when I was just so miserable I wanted nothing more in life than to simply reach shore. Maybe some people will be able to avoid learning the same boating lessons the hard way.